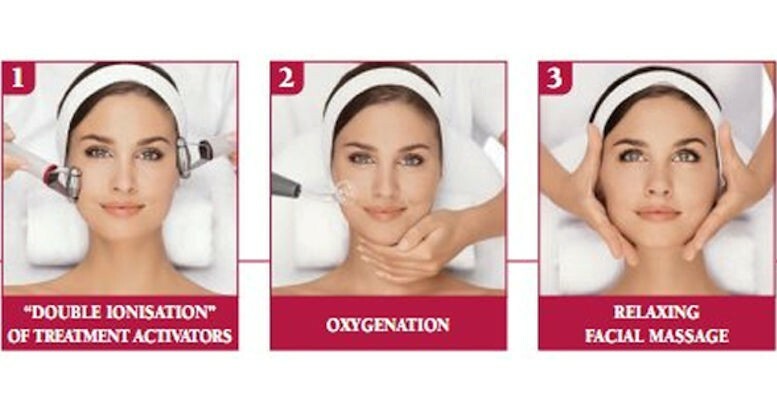 Hydradermie is perhaps Guinot’s best known brand name and utilises the exclusive Hydraderm machine which works to oxygenate and boost cells to prepare the skin for massage, masks and products. The Hydradermie machine’s gentle combination of galvanic and high frequency currents results in skin that’s cleansed, refined and revitalised. For beautiful, smooth, clear and luminous skin which glows with health.